Week 6 of google summer of code. Week Five of gsocThis week I continued work on Reviewing the not yet addressed reviews that were left. 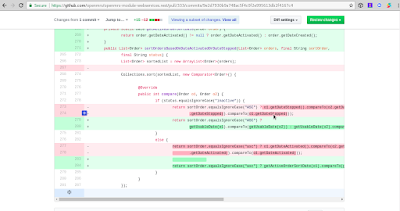 Model changeThen i went further to add to the user table another field by name user activation_key. when the request for password reset was made(to be used for knowing if the token has expired or not). The hashed token which will be of the format Hashed_token:timeStamp (xyt354m8912ghx:1233455612) is a sample of what will be stored in the activation_key field. Week four of the summer work as all other weeks that have passed had a similar experience and it began by me Bringing up a design with functional requirements as was told by my mentors. 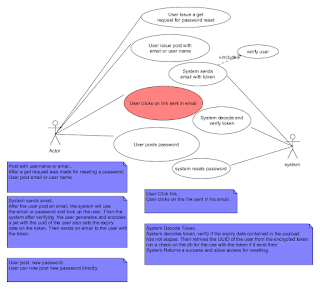 I brought up the requirements having in mind to use a library which I have been studying and understanding and as such I had to use one of the UML(Unified Modelling Language ) tool to do the design which in this case I chosed the usecase diagram and came up with the following .